People at the MINI dealerships write MINI in all caps. Maybe to relay the mighty motors and precision handling under the little exterior. Maybe because MINIs are so exciting, that one must visually yell to herald it. Maybe because it just looks better from a graphic standpoint. Whatever the reason, I got my own MINI. I love it. 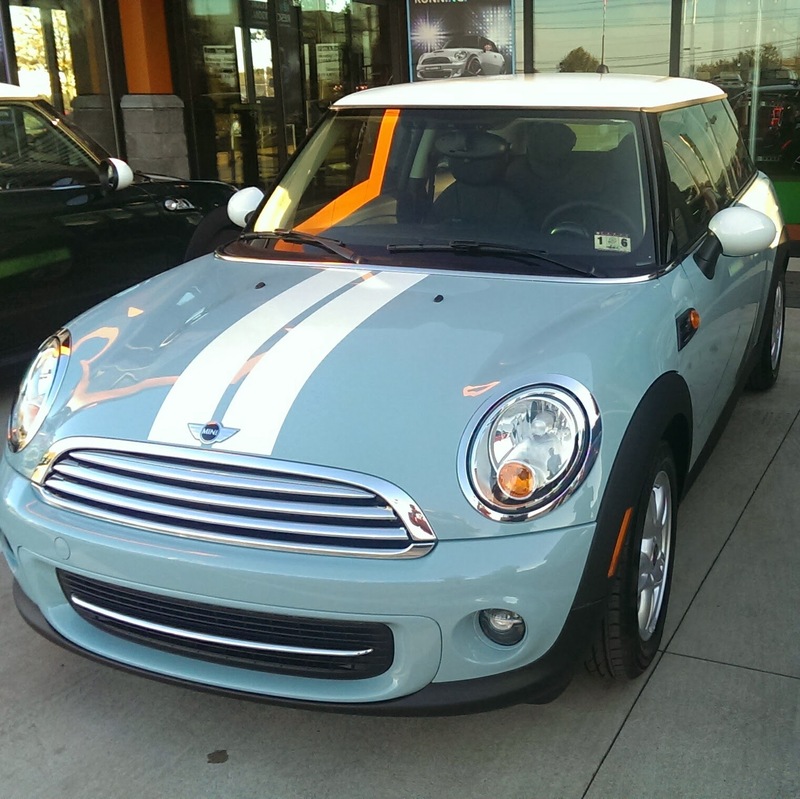 My MINI handles like a dream, is a joy to drive, gets great gas mileage, looks like a Tiffany box on wheels and yields a monthly payment less than my Mazda 3. Speaking of my Mazda 3, Chad drives it now. Long story short, he is fine. No one else was involved. Chad wrecked his lovely orange MINI S Coupe. His MINI protected him like a shark cage. No more two-seater, sporty cars for Chad for a while. He has crossed off of his bucket list, "find the limits of a sports car." All glibness aside, I'm so very thankful that Chad wasn't injured, that he didn't harm anyone else and that we have good insurance.